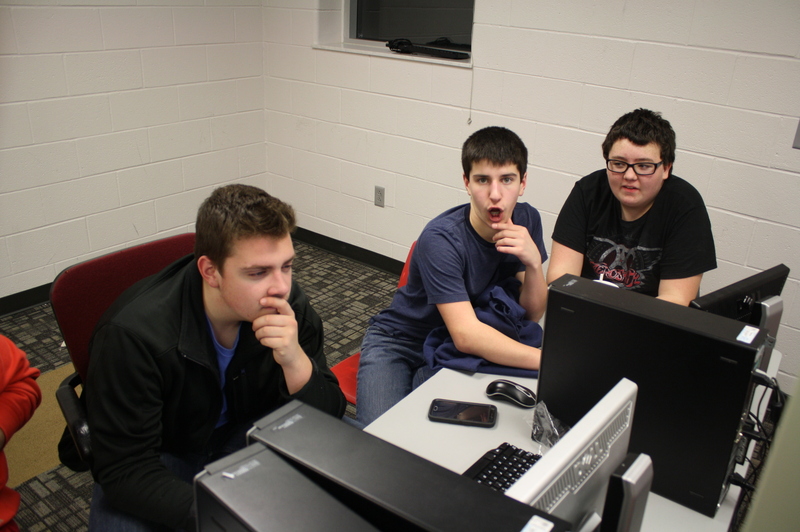 The Southport CyberCards are just now entering their third week of the 2016 FRC Stronghold competition, and after planning out their robot, building prototypes, and testing them out, they are moving on to the next stage of their Build Season: the “Things are Getting Serious” stage. Mechanical- Finishing Intake/Outake prototype that can attach to practice robot. Also they are still waiting on the finalized design for the real Intake. Safety- Come up with safety posters. And use information for a safety quiz that is mandatory for all people who want to enter the workshop. Electronics- Wire practice robot. Once they are finished with that they will then begin discussing electrical placement. Programming/Control- Finish up the code for the practice robot. Then they shall begin writing pseudo code for the real robot. Then begin figuring out the controls for the robot. Strategy- Review the Game and make sure everything is set for the team. Then they shall practice how the human player affects our game play. VEX- Big Competition Tomorrow, get ready! Mechanical is run by Jeremy. He says that his group have been working on prototyping the shooter and the intake set-up. The second mechanical group is run by CJ. He says that his group has been cutting the practice chassis pieces, assembling said practice chassis, and assembling the gear boxes. The electrical group is run by Zhuling. She says that she and her group have been wiring the prototype robot, taking the components off of old robots, testing the components to see which ones are working and which ones aren’t, giving the working components to the practice robot, and color-coding the components so that if something breaks or stops working, they can trace the problem back to it’s source. 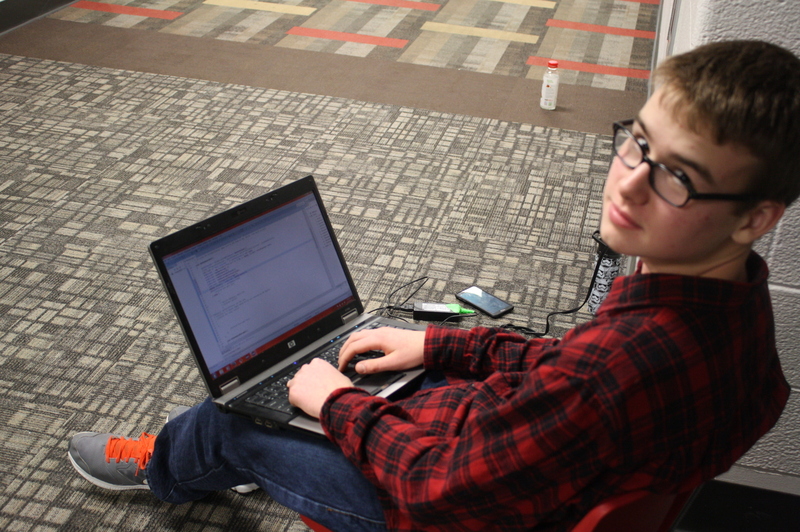 The programming team is run by Dylan, and they have been working on how the robot will operate during autonomous mode, and making the practice robot “go vroom vroom,” or move, says Dylan himself. The safety team, run by Lyndsey, has been designing posters to hang in the shop and in the pit, to remind us the importance of safety. She is also working on a safety quiz. Controls is run by Austin R. and they have decided that they are going to use light sensors and where and how they are going to go on the robot. 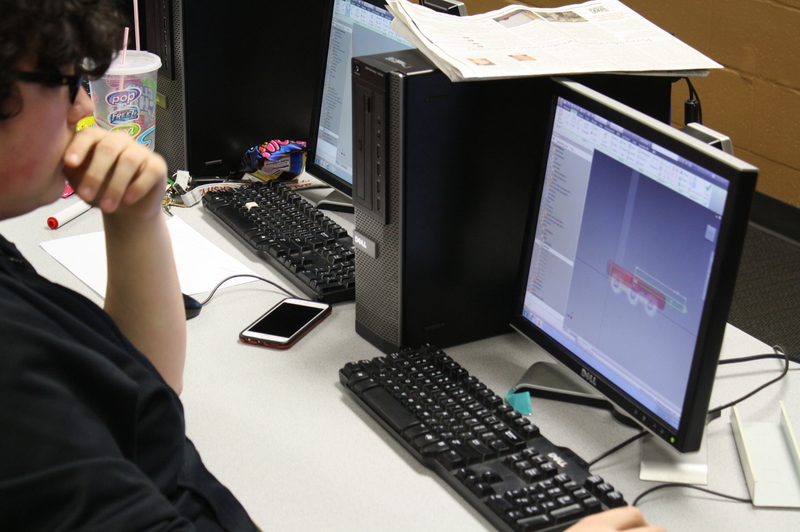 CAD is run by Torey, and he says that his group is working on a constrained chassis, the dimensions for the bumper and the frame perimeter, the arm intake system, and what the overall design needs to look like. And finally, media. Run by Austin, they have been working on the Woody Flowers Essay, the Chairman’s essay, the judges presentation, and getting the blog up and running again. 1529 has been busy, and will continue to be until build season ends! 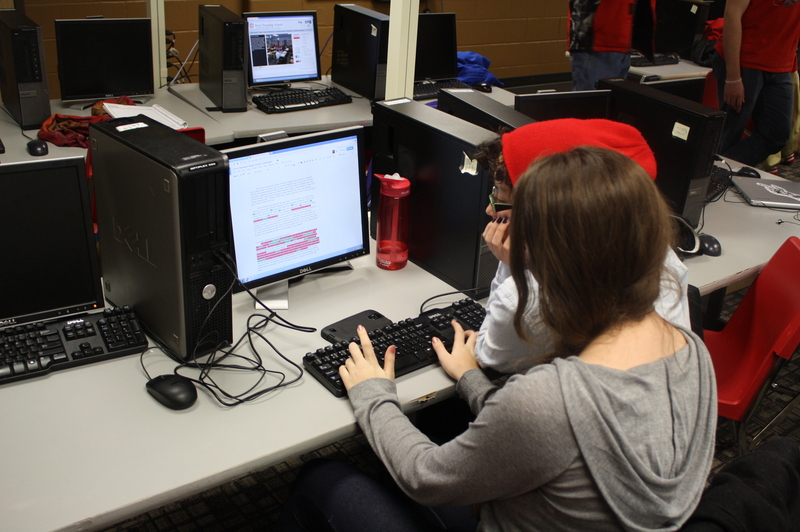 On January 15th, the team came together and identified the different prototypes they wanted to research and test. 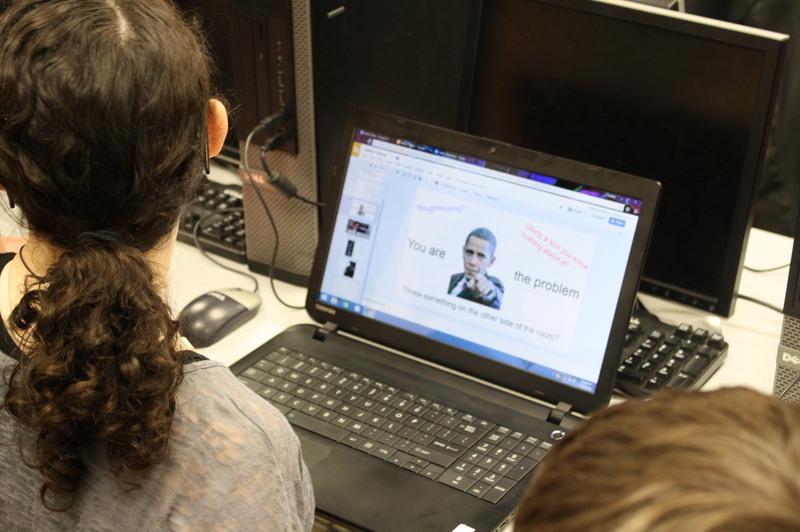 Students did research and found examples of different prototypes. On Saturday, the team split into three different prototyping groups. Developed horizontal and vertical prototypes of roller claw for boulder manipulation. Pool noodle with horizontal orientation with 1 in. compression on boulder was best fit. Prototyped 3 different lift mechanisms. the last dealt with a mix of a telescopic and cascading lift, driven with chain and sprocket and slid against each other with bearings. So far a group of highly talented parents have completed 4 out of 7 of the defenses we need to test our prototypes with. THANK YOU PARENTS! After a week of knowing what this years FRC game is, we have finally figured out our strategy and planned out our priorities for the 2016 competition. Thought you might wanna know, so here’s our strictly professional blog post. Follow the team on Facebook at http://www.facebook.com/FRC 1529 and twitter via @FRC1529. 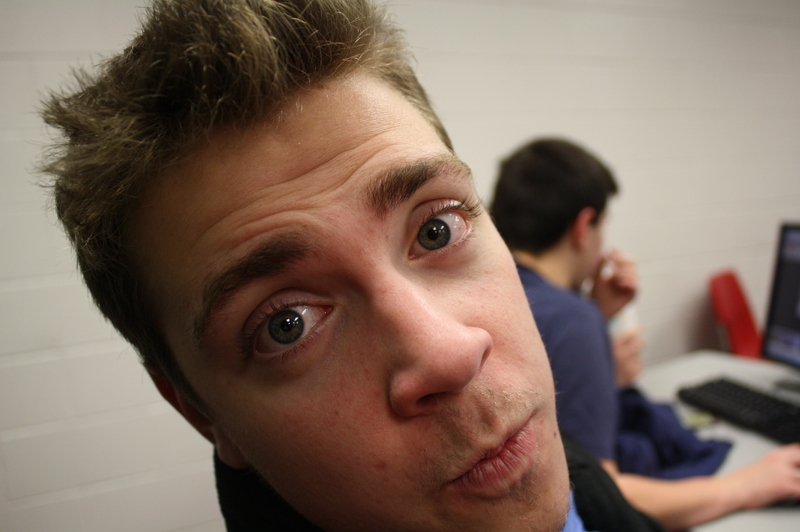 We will update next week on our strictly serious blog, so look forward to it!- M.R. FIRST STRONGHOLD is a robotics competition in which an alliance, or a group of three robots, has to pass through opponents fortifications, bring down their tower with ‘boulders’, and finally capture the opposing alliances tower. In FIRST STRONGHOLD, two Alliances of three robots each are on a Quest to breach their opponents’ fortifications, weaken their tower with boulders, and capture the opposing tower. Robots score points by breaching opponents’ defenses and scoring boulders through goals in the opposing tower. During the final 20 seconds of the Quest, robots may surround and scale the opposing tower to capture it. This is our teams reaction to the 2016 game. This is a twitter tweet made by IndianaFIRST about the Southport High School. Find more information on these sites. FRC 1529 is excited and ready to begin build season and compete with other teams! 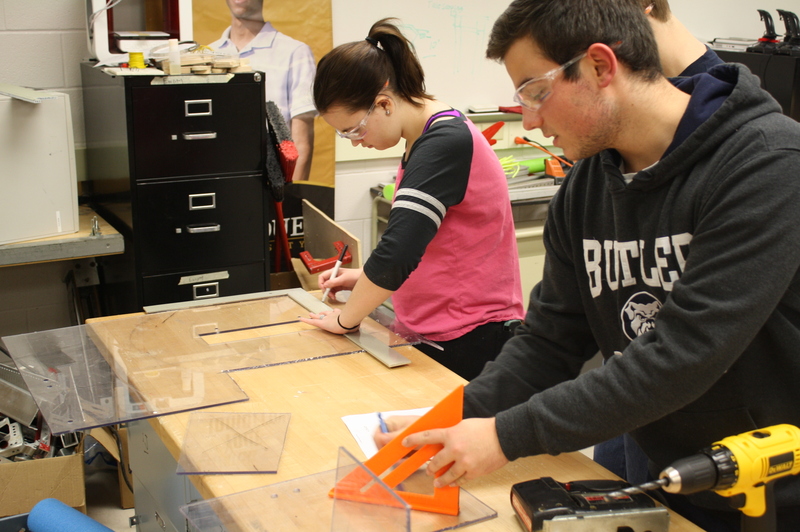 As we cruise through the midpoint of the build season, we take a look back at our accomplishments and look ahead at our future challenges. So far, we’ve constructed a Tote Chute, Litter Chute, Step, and Scoring Platform. We’ve come up with an overall robot design, have assembled our chassis, and even had some parts fabricated by our friends at Fab2Order. 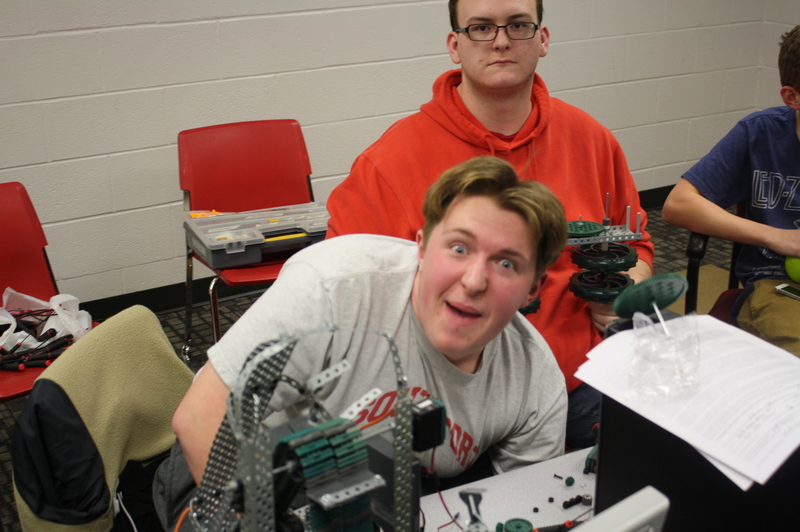 Our robot design is heavily influenced by the Team Indiana entry from the 72-hour robot build teams. As it happens, it is similar to this design posted on Chief Delphi, in that we will accept totes from the tote chute, through the back of our robot. We’ll stack them two at a time, building up to six high. The special feature of our robot is the recycling container manipulators. 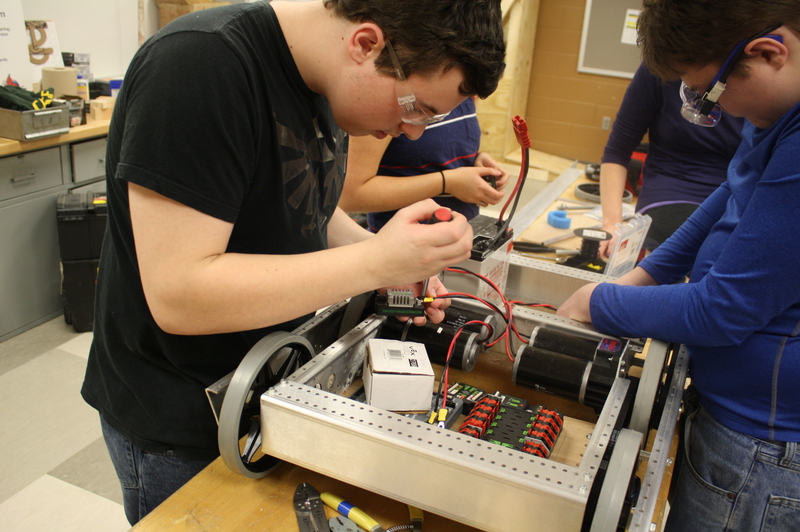 Our robot will feature two arms, one on each side of the robot, that can passively grab RCs under the lid. Each arm can lift vertically and rotate horizontally. We will lift and swing a RC into our elevator and place it on our stack. We’ll then build our stack under the RC and place it on the Scoring Platform for 36-42 points, and repeat. We’re confident that we can score 108 points per match (126 points with Litter) with this routine.